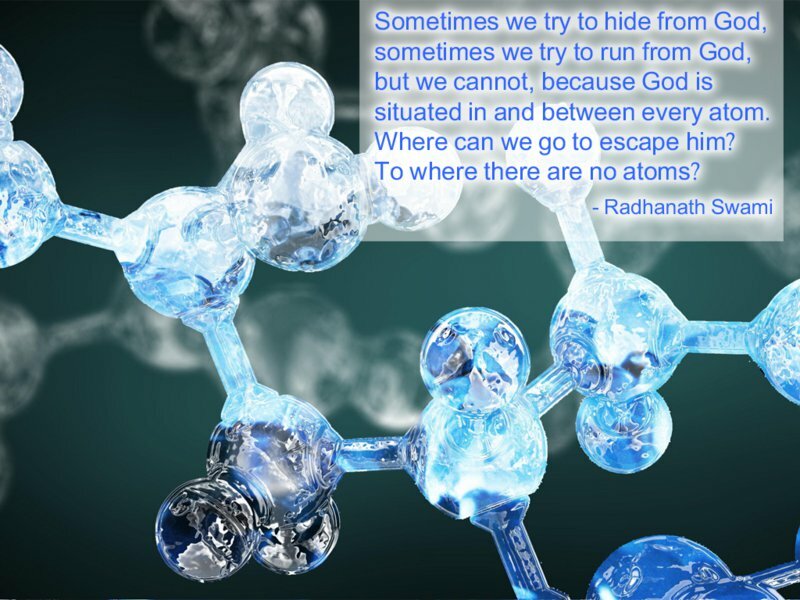 Sometimes we try to hide from God, sometimes we try to run from God but we cannot because God is situated in and between every atom. Where can we go to escape him? To where there are no atoms? 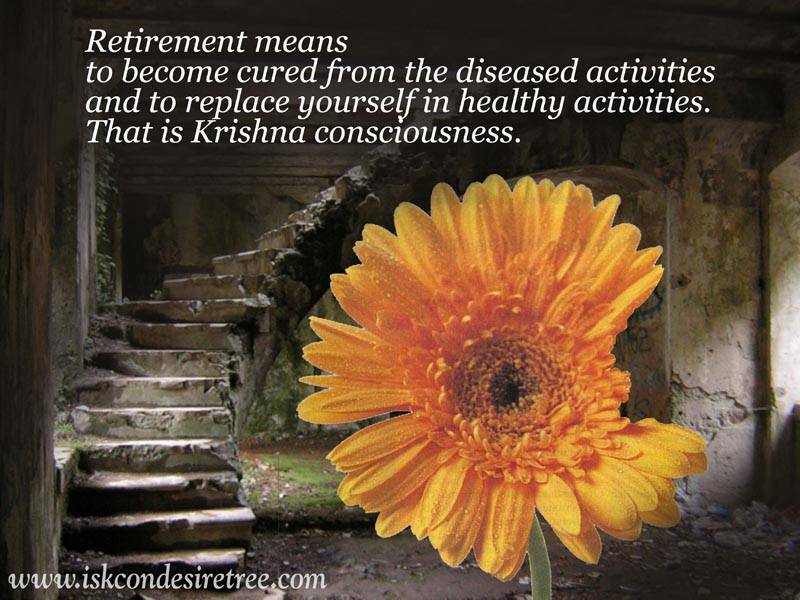 Retirement means to become cured from the diseased activities and to replace yourself in healthy activities. That is Krishna consciouness. 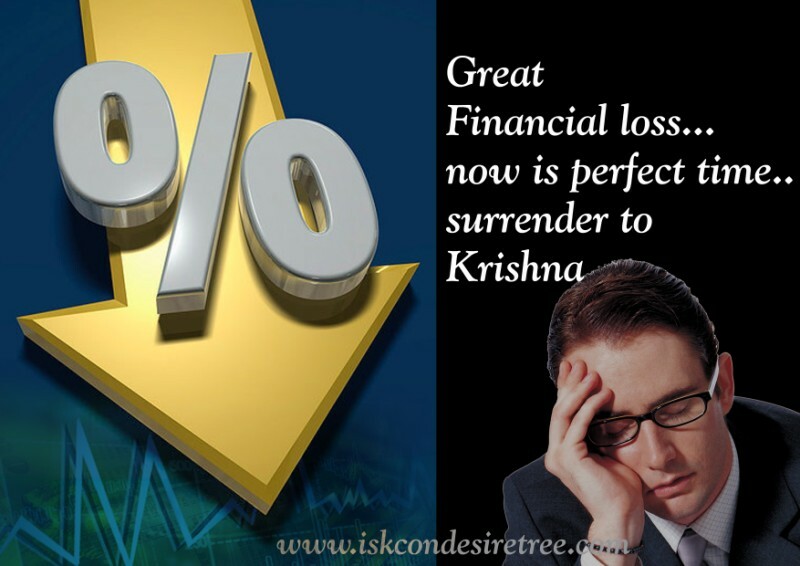 Great Financial loss… now is perfect time surrender to Krishna. To the degree we cultivate the spirit of selfless service, to that degree we’ll actually find bliss in life. 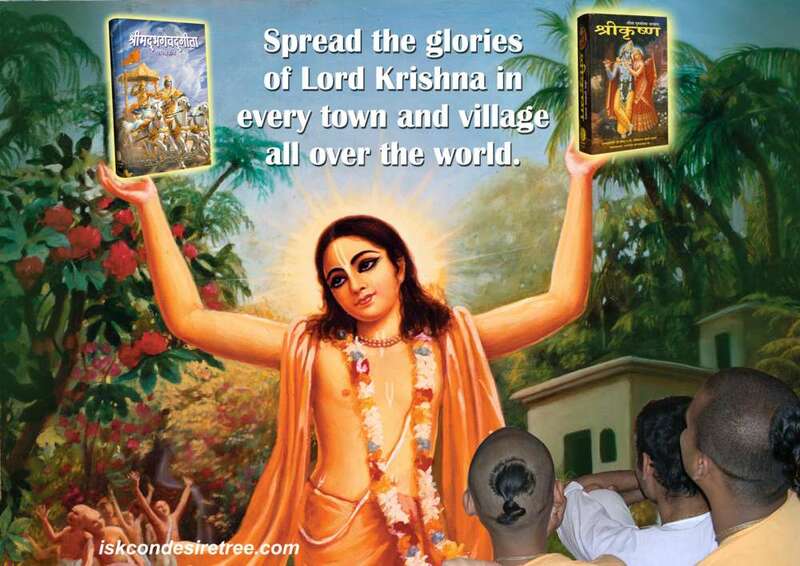 Spread the glories of Lord Krishna in every town and village all over the world. 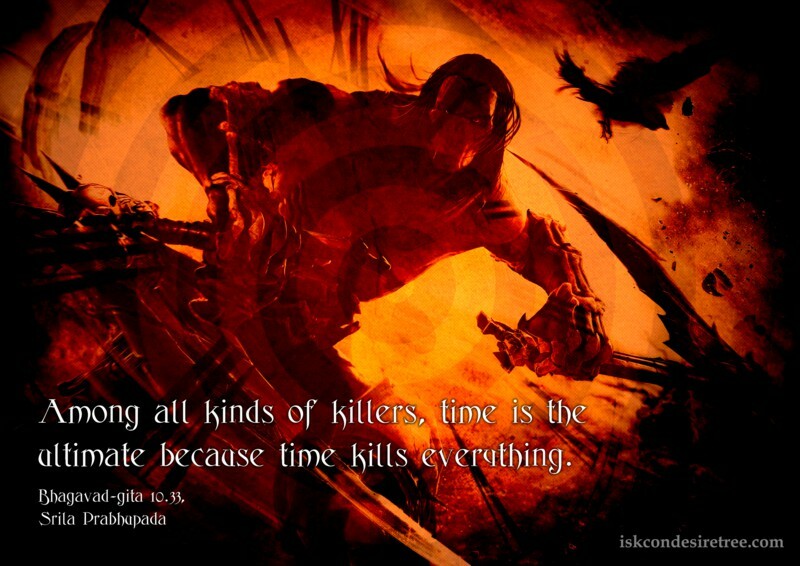 Among all kinds of killers, time is the ultimate because time kills everything. 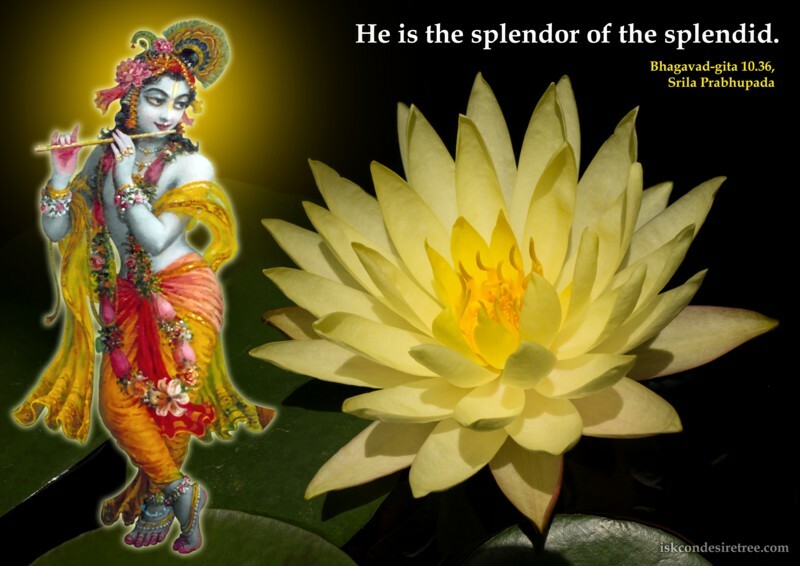 He is the splendor of the splendid. 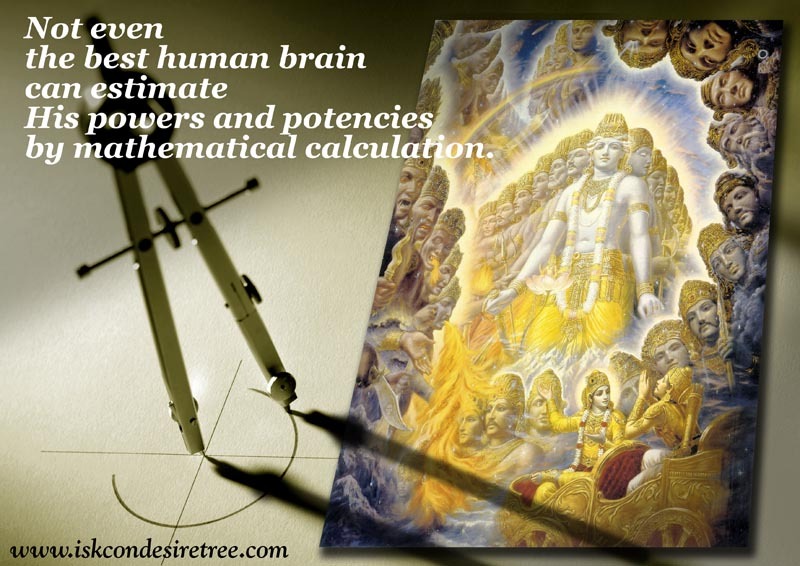 Not even the best human brain can estimate His powers and potencies by mathematical calculation. 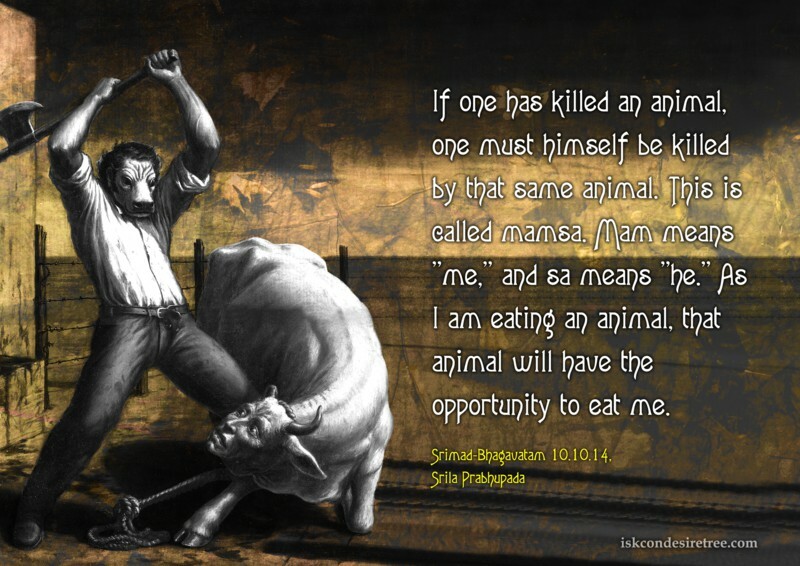 If one has killed an animal, one must himself be killed by that same animal. This is called mamsa. Mam means “me,” and sa means “he.” As I am eating an animal, that animal will have the opportunity to eat me. 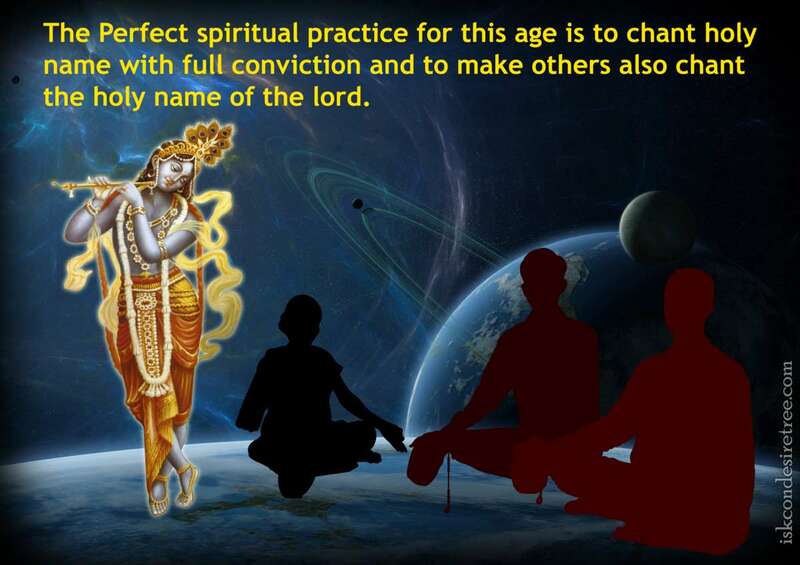 The Perfect spiritual practice for this age is to chant holy name with full conviction and to make others also chant the holy name of the Lord.